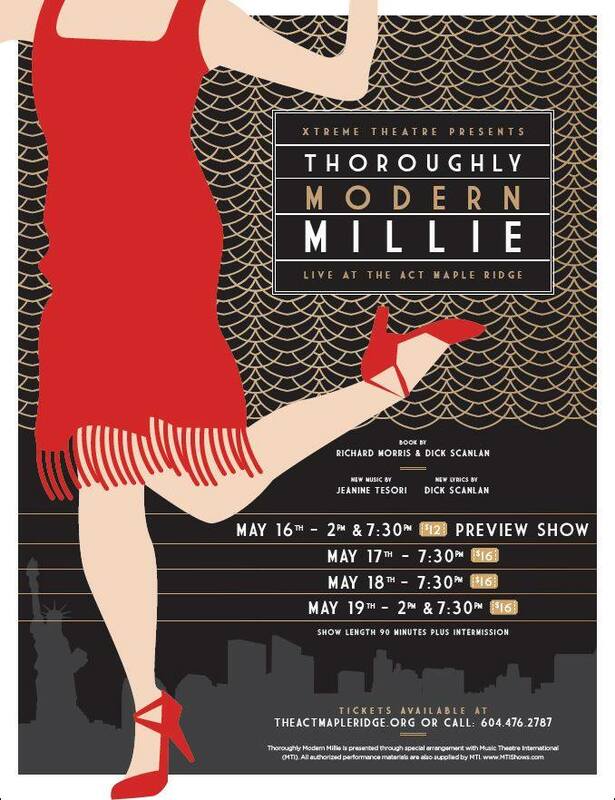 Xtreme Theatre is back for their 17th Season and the Senior Students are excited to present Thoroughly Modern Millie! ***Please note there are 2 Casts. Please check which Cast Member you are hoping to see before purchasing tickets. ** Forget about the boy when a small town girl searches for a new life in the bright lights of 1920s New York City. The winner of six Tony Awards, including Best Musical, Thoroughly Modern Millie was the 2002 season’s most awarded new show on Broadway! Based on the 1967 Academy Award-winning film, Thoroughly Modern Millie takes you back to the height of the Jazz Age in New York City. This high-spirited musical romp is a delightful valentine to the long-standing spirit of New York City and the people who seek to discover themselves there. We'd love to see our friends, family and our special guests that come back year-after-year! Join us for a great time!